Have some in the congregation actually drifted away to the point of apostasy? Chapter 6 and chapter 10 both have strong words of warning against apostasy. It is possible that some have, but the writer’s intention may be to drive the point home well enough that the readers do not recant their faith when the difficult persecution comes. This is a rhetorical strategy, to describe the worst case imaginable, then show how the reader has not gone quite that far yet. For example, I might tell my students, “you will fail Greek if you do not study for the exam!” to encourage them to study, although I know that none of them will fail the exam because I have fully equipped them for success. Some might struggle more than others, but I have given them the necessary tools to pass the exam. As we work through the passage this will become more clear, but what we seem to read here is that those that do recant and reject Jesus in a public way are not able to repent, because they are no longer capable of repenting. This is not necessarily the “unpardonable sin,” but it is a sin that is so deep and so destructive to the person who commits it that they are no longer capable of making act honest act of repentance and be restored to fellowship. The reason that it is impossible is that the individual has “once for all” been enlightened, the same phrase used to describe Jesus’ “once for all” sacrifice for sin. Just because it is impossible for a man, it does not mean that God cannot move that person to repentance and bring them back. He very well may let a person go, but if He wills he can bring them back. There were seventeen names left in the comments (I deleted James Snapp, do read his review of the book though). I randomized the names and uses random.org to generate a winner, this time Ben Brown gets the book. If you could contact me (plong42 at gmail dot com) with an address I will ship this out ASAP. Hebrews 6:4-12 is one of the difficult in the Bible because it deals with a very sensitive problem: If someone recants their faith and completely turns their back on God, can they still be “saved”? 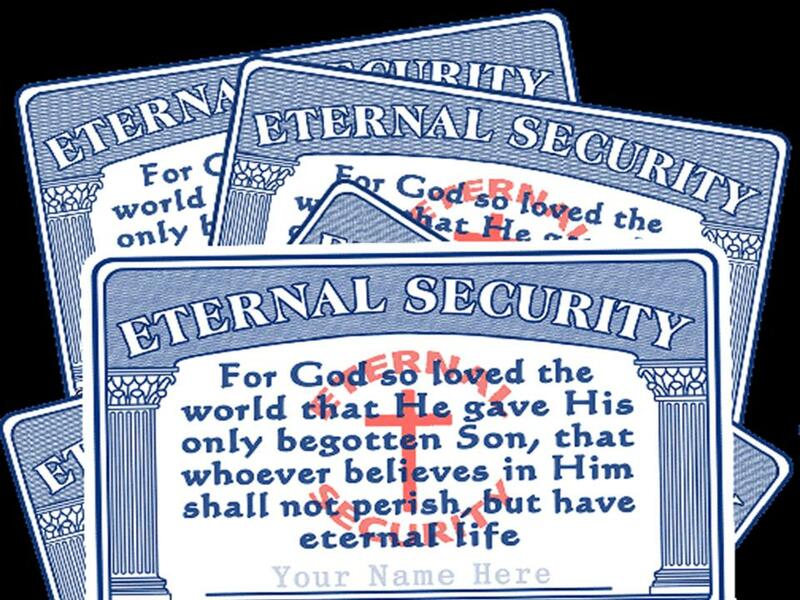 It does not take very long to find a website attributing the doctrine of Eternal Security (Perseverance of the Saints) to be a doctrine hatched in the pit of Hell, or another website declaring that Eternal Security is the central theme of God’s gospel of Grace. Part of the emotionalism of this issue is that everybody knows someone who attended church, was involved in the ministry of the church, gave of their money and time, and may have even publicly claimed to be a believer. But now, for whatever reason, they have walked as far from God as they can get, denying that they were even saved. Some pastors have been caught in sin and now have left the ministry, perhaps even denying God What about them? Were they “saved”? Are they now “saved” even if they are in a state of denial? Presuppositions about theology often drive interpretations about this passage. Once we start talking about heavy doctrines like election, predestination, and preservation of the saints people tend to get antsy. To make a very long theological story short, Armenians tend to believe that a person can lose their salvation if they do not “persevere until the end” while the Calvinists tend to believe that a person who is truly saved will always be saved, regardless of any post-conversion behavior. There is a lot behind those two historic positions, in fact, they are logical conclusions drawn from some presuppositions in their respective views of salvation. A real problem for reading this text is that our personal experience clouds our thinking. We all know someone that seemed saved, but they now appear to have walked away from their faith. Alternatively, we all know at least one prodigal son who has returned to the father and repented of their time during which they appear to have rejected the faith. These stories are rather emotional since these are real people whom we love. While both sides of this “once saved always saved” discussion must deal with this passage, that is not exactly what the author of Hebrews has in mind. He does not address church discipline or post-reformation theology. In fact, he is neither Calvinist nor Arminian, nor is he a holiness preacher or a post-Enlightenment liberal. To a large extent our post-Reformation questions might obscure what the writer of Hebrews was trying to communicate to his original readers. The writer of Hebrews is a Jewish Christian addressing other Jewish Christians who are about to endure a time of terrible persecution. Does the writer of Hebrews consider it possible that his readers could deny their faith publicly, declare that they are faithful Jews, and still consider themselves Christians in secret? The context of the notoriously difficult “falling away” passing in Hebrews 6:4 is critically important. In Hebrews 6:1-3 the author of Hebrews implies his readers are immature and have failed to grow at an expected pace. They need to “build again” on the foundation and re-learn the basics of the faith. In all of the Jewish Christian literature, there is a struggle to integration Judaism and Christianity. 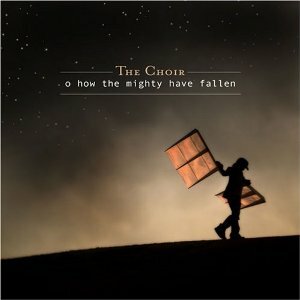 How much of the “old covenant” ought to be brought over to the new faith? Hebrews 6:1-3 lists six foundational items (three pairs), all of which fit into the Jewish Christian world of the original authors, but need to be considered in the light of the New Covenant. Repentance from Sin. Both Peter (Acts 2:38) and Paul (Acts 17:30-31, 26:20) preach repentance from sin in the book of Acts. Although turning to God is turning away from sin, the phrase “acts which lead to death” is unique to Hebrews 6:1. It is similar to James 2:17, “dead faith.” The original readers of Hebrews were not pagans converted from a sinful life, but faithful Jews who may have been (from an Old Covenant perspective), not all that sinful. The emphasis is on unproductive works vs. faith. So what exactly needs to be confessed and repented of when one comes to Christ? Perhaps the readers are overly concerned with outlining the exact nature of that repentance rather than repenting and then maturing! Faith in God. Perhaps this is simply the natural partner of “works which lead to death,” the active sense of repentance. Since the audience is Jewish, it is unlikely that they worshiped idols. The acts that lead to death and faith in God have to do with their participation in salvation, two sides of the same coin. Laying on of Hands. Like baptisms, it is tempting to read this in terms of later Christian practice, but “laying on of hands” was practiced in Judaism before it was taken over by Christians (Gen 48:14, Num 27:15-23, Deut 34:9). Since this is paired with baptisms, it is possible that laying on of hands was associated with the beginning of Christian life in the Jewish churches (Cf. Acts 8:16-17, 19:5-7). Resurrection of the Dead. The final pair in this list are not practices but doctrines which were subject to strong (and perhaps emotional) debates among first century Jews. One only needs to recall the division between Sadducees and Pharisees to know that the resurrection was a controversial issue (both for Jesus, Mt 22:23-33) and Paul, Acts 23:6). Eternal Judgment. A related theological problem in first century Judaism was the final judgment. If there is a resurrection in the future, what will happen to those who are raised from the dead and condemned? Is there “eternal torment”? There are a number of texts from the Second Temple period which describe eternal torment of the unrighteous dead. 2 Enoch and 3 Enoch, for example, seem to indicate that at least some Jews of the first century did think that the dead would face eternal (and sometimes ironic) punishment. The author does not say these “foundational items” are unimportant, but that these ought to be settled by now to that the readers are ready to move on to more mature doctrines. The “deeper” things in this case is next section of Hebrews, the teaching on Melchizedek and the Tabernacle. The readers are fretting over foundational issues (who is in/out, details of theology which are not critical), and they are therefore unprepared for the difficulty of the argument which he is about to make. But more important for the writer of Hebrews, the readers are unprepared for the possibility of persecution. If they have not progressed beyond the first things of the faith, will they be willing and able to endure physical persecution in the near future? Are the mature enough to continue in their faith in Jesus? It is fairly easy to draw some analogies to Christian maturity in the western church. Although there are some large and wealthy churches, it is possible most members of those congregations have not moved much beyond the basics (an initiation ritual and when to stand for worship, basic teachings or what political party to support). Just as for the audience of Hebrews, when persecution comes, these will not be enough to ensure loyalty to Jesus Christ. In my last post on Hebrews I looked at Hebrews 4 as a part of the author’s argument that Jesus is superior to Moses and the priesthood of the Hebrew Bible. This is the theme which will continue through chapter 10. In fact the book of Hebrews is interested in Jesus as a priest more than any other book in the New Testament. Jesus is called a priest and high priest only in this letter. Since the argument of the next few chapters is based on the idea that Jesus is a priest in the order of Melchizedek, it is critically important to understand what these offices meant in the first century. Two words of caution here. 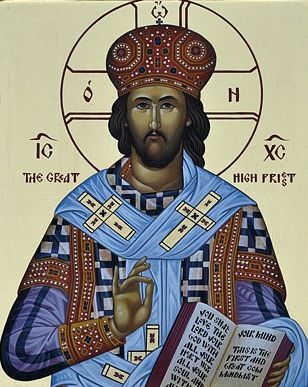 First, the high priesthood of Jesus is based on the ideal forms found in the Bible, not in the high priesthood as it actually functioned in the first century. By way of analogy, we could study the office of president of the United States as it is described in the constitution, or by the way various presidents have functioned as president over the more than two centuries. James Buchanan, for example, usually is ranked at the bottom of the list of presidents by historians, mostly for his handling of the issues which erupted into the Civil War. We would not, therefore, want to describe the office of president using Buchanan as our example! In the same way, the high priests who held office in the first century were politically motivated and not particularly good examples of the way a priest ought to behave in his office. What is remarkable is that the book of Hebrews does not condemn the current High Priest as corrupt, nor does he say anything negative about the worship of the Temple other than it has been completed in Jesus. Secondly, the word “priest” has connotations in English which are not present in the function of a Jewish priest. We are not describing a Catholic or Orthodox priest, but rather the Jewish priest. This modern sense of the word is not particularly helpful in understanding the priesthood in the Hebrew Bible. The priest in the Jewish Temple was the mediator between God and man. As such, the office of priest foreshadowed the ministry of Jesus who was provides access to the throne of God for those who have entered into new life through him. The original intention of a priest in the Hebrew Bible was to be an intermediary between God and Man. The High Priest chosen to enter the Holy of Holies on the Day of Atonement. He represented the nation and did his duty on that Day on behalf of the nation. If the High Priest performed his function right, then the sin of the nation was covered. Since he was a fallible human, there was always the possibility that the atonement was imperfect. Not so with Jesus as the ultimate High Priest. He is the perfect intermediary between God and man because (Hebrews argues) he was true human – untainted by sin. Therefore he preformed his duties in the real sanctuary properly, providing real atonement to the whole world, once and for all! Within the world of the metaphor, no Second Temple period Jewish person would even think of entering the Holy of Holies! Only a Jewish priest could enter the Temple, but only the High Priest could enter the Holy of Holies within the Temple. Even then, the High Priest entered only once a year and only after elaborate preparations. Even then, the High Priest did not approach the Mercy Seat with confidence; he was likely in fear for his life while preforming the functions of his office, knowing that he was as close to the presence of God as he could be in this life. If he was found unworthy or if he was erred in his job he might be struck dead. Yet the writer of Hebrews tells his readers that they can enter this most holy place with confidence. In the context of temple worship, this is a remarkable statement since every high priest did his duty on the Day of Atonement with a great deal of fear and trembling! To “enter with confidence” is not disrespect. The believer is not to treat God as a human or flippantly address God. The noun παρρησία (parrasia) can be translated “boldness,” as it is in the early parts of Acts when the Apostles “speak with boldness” about who Jesus was (Acts 2:29, 4:13, 14:19). In this context confidence refers to the believer’s position in Christ that gives us a kind of “permission to speak freely” to God. Since we have Jesus as our High Priest, we have a new relationship with God that allows us to be fully open and honest with God (cf. Eph 3:12). For example, in the military a commander might have certain people who are his close advisors. These people have the freedom to speak openly to their superior officer in a way that would not be acceptable coming from a private. If we are in Christ, we can walk into God’s presence and speak to him what is on our hearts. The best example of this boldness is the prayers of the Psalms. Some Psalms question if God really listens to the prayers, others are boldly claiming promises made. Others frank expressions a depth of anguish and pain that is almost embarrassing. The writers of the Psalms do speak with God with confidence. This confidence and boldness is based on the fact that Jesus is our Great High Priest and he has done something as the High Priest that allows his followers his new access. What are the implications of the boldness in the context of the original readers? How can we “bridge the gap” to apply this “boldness” to contemporary spirituality?